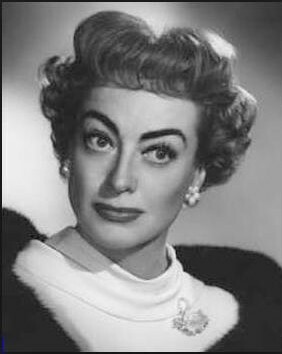 I hope you won’t mind, but Ms. Crawford (“J.C.”) will be offering commentary throughout this post ordeal. The Florida weave — at least as I practiced it — was easy enough to arrange. I simply hammered two stout, 8-foot-tall wooden stakes one foot into the ground, and bolted them to the hemlock-framed raised bed. J.C.: It’ll never work. Sounds like something Bette Davis would try. As the vines grew, I ran lengths of twine between the posts. The twine held the plants in an upright position. I also pinched off suckers to keep the plants from growing too bushy. J.C.: I’m no stranger to pinching off suckers. Just ask Douglas Fairbanks, Jr. And Franchot Tone. And Phillip Terry. And Alfred (“Mr. Pepsi”) Steele. The tie-as-they-grow system worked well throughout all of June and July. J.C.: I assume you were very proud of this arrangement. I was very proud of this arrangement. The tomatoes seemed happy, too. J.C.: Just wait until a monsoon strikes. Then, on August 9, a pounding rain-storm arrived. Scratch that. It wasn’t a rain-storm. It was a monsoon! J.C.: Let me guess. Did the wooden stakes lurch forward? The wooden stakes lurched forward, even though I had firmly bolted them to the bed. Would steel stakes have held? I don’t think so. First, I could not find such stakes locally in 8-foot lengths. And secondly, once the soil became saturated — as it did during the monsoon — the heavy posts would have loosened and pitched. Nevertheless, in an effort to “fix” the problem, I pounded 6-foot steel posts as deeply into the ground as I could manage. And then I attempted to re-weave the vines. J.C.: Well, that was a waste of time. It was a waste of time. For there was no way for me to lift and straighten the vines without breaking them. Consequently I’ve no choice but to let the vines remain exactly as they are. Which is a shame, because my garden is open for public visitation next week. In the future, I plan to only grow tomatoes on a Joan Crawford-approved trellis. Such a structure is easy to build, and you don’t need tools (except for a hammer) to construct it. The frame is so well-balanced that it merely yawns in the face of a monsoon. It’s fun to tie the vines to a J.C. trellis. And furthermore, the J.C. is a statuesque beauty, beloved not only by me and the tomatoes, but by the robins and cardinals who like to perch on its cross-beam and posts. Dear Joan: Never again shall I forsake you for two poles and a ball of twine. 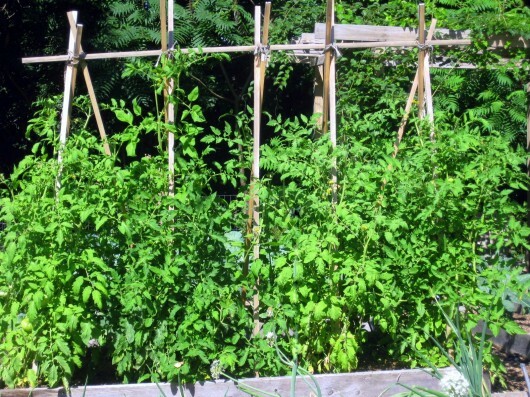 So…who else has tried the Florida Weave tomato-trellising system? How’d it work out for you? As always, I cherish your comments. I still use the steel cages. Successful til the plants get tall. Next year will try the JC Trellis! I whined and wheedled but my husband never got around to my Florida-Weave tomato system this year. Now I think I’m grateful, since we just had a monsoon too! It sure sounded like a good method, though. Thanks for taking one for the gardening crowd! I love that you write about what doesn’t work, as well as what does. Too many blogs are filled with post after post of perfect, sanitized, (and selective) recitations of ‘life in the country/on my farm/at the homestead/yougettheidea, with no ‘realness’ to them. Love this blog. Read it every day. Thank you for that. Still love the big cages I built…they held up through about 25+ inches of rain last week and kept the tomatoes off the ground and happy.! Love your JC commentary. Some things work…some not so well. We live, learn and try to laugh about it. Good for you for admitting what everyone should know…sometimes things, sometimes, just fail. 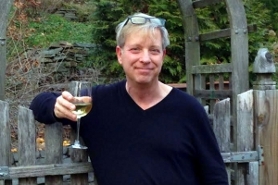 Ah well… time for a glass of good wine. Oh, thanks for writing about the FL weave. I wondered about trying it. Glad I didn’t. We get some pretty fierce t-storms here and I think it would have ended like yours. Sorry for your plants, but thanks for trying it for us and reporting your results. I hope you still get lots of yummy tomatoes. Everything I plant will have to be in containers and the containers will have to be covered with some type of covering so the cats don’t play in the soil. So far though I have containers lined up I just need to go pick them up at the rate my life moves by next summer I should have some tomatoes…. No Florida Weave for me. It was the first year I used the J.C. approved trellis system. Used tomato cages last year but they just fell over when the vines got tall enough. Got rid of them offering on FreeCycle. Hey, some people like them so who am I to judge. I feel for you… We had a wind storm last summer, and I came home to my 10′ “John Davis” climbing rose lying in a heap. The wind had ripped the lattice work away from the house and it all came crashing down. There was really no way to fix it without cutting the canes free, putting up new lattice work and reattaching all the canes. Of course, a lot of canes had snapped and needed to be cut back. The worst part was that it was in glorious full bloom! Lots of vases of cut roses for me and my neighbors. It regrew nicely the rest of the Summer… And bloomed beautifully this year. Will have to try the JC approved support next year. 8′ might be tall enough. This year I tried a tripod stake system with twine to hold up the vines on some plants. On other plants I used the largest cages I could find…too much rain for either to work well…the vines grew over the tops of the cages and the heavy tomatoes have almost reached the ground on the outside. The tripod stakes aren’t much better, though none have actually fallen over. Thank you for letting us know – I had planned on trying the weave next year and will now go with the “JC approved” trellises on my 2×4 foot raised beds instead! The end stakes also pitched, but more from the weight of the vines – I solved that problem by staking those like I would the corners of a big pavillion tent. The twine I used was apparently sub-standard for the task. Unbeknownst to me (the tomatoes are my fiance’s babies, I’m usually out working in the ornamental beds) it snapped in quite a few places, letting some of the woven tomato vines drop to the ground – a lot of rotted fruits and sogged out foliage down there. He didn’t have the heart to prune as mercilessly as I did. We now have a lot of green and semi-green tomatoes in paper bags as a result. We didn’t have too much issue with blossom-end rot at first, but as the rains kept coming (and we’ve got plastic down so at least the tomatoes didn’t get overwatered and split) all of the eggshells and lime we’d amended the bed with weren’t enough, so we had to use Rot Stop foliar spray. We’re thinking of doing some sort of PVC contraption next year, I’d like to incorporate a rootline watering system into it. We built these a couple of years ago and they have served us well. I can move them to new beds each year. I gave up on the flimsy metal ones. If you are vigilant in training them branches over the supports they are perfect! Kevin, We tried the weave technique this year with success. We did, however, tweak it a bit when setting the system up. My husband had the idea to put posts between the plants as well as at the ends. that way we could weave the twine back and forth through the posts, down one side and back the other way on the other side. This gave each plant a lot more support. It worked great. Also, we didn’t use 8 foot posts. Not sure how long ours were, but the ones on the end were steel. Hope this helps! We also tried the Florida weave this year on many plants. We put in stakes every 3rd plant or so which helped, but what jumped out at me as I looked at your 1st and 3rd photos, and maybe why you had extra trouble, is that you didn’t actually “weave” the twine; it looks like you went down one side and back the other. What we did was go in front of one plant, then behind the next, then in front of the 3rd, then around the pole and reverse going back the other way so the twine makes an x in between each plant. I hope I’m doing a good enough job explaining it. That being said, my DH made hinged triangular cages out of hog fencing which can fold up flat when not in use and those things are awesome! About three weeks ago my husband and I were vacationing in Ohio and northern Kentucky. While driving in Kentucky we stopped at a produce stand which had been set up next to the owner’s garden. The owner had planted 8 to 10 rows of tomatoes , each row about 40 or so feet long. I noticed he had used the Florida weave to hold up the plants, so I asked him to tell me about it and how he did it. He pointed out how he put the stakes about 3 feet apart and wove the twine in front and behind the plants, criss-cross style as mentioned above. There had been heavy rains about 2-3 weeks earlier (don’t know about winds) and the plants were happily in place and growing well. I hope to try this next year; I do think putting stakes relatively close is important. CJ & Donna – Thank you — that explanation makes sense. Live and learn! Sorry for the mishap but at least it doesn’t look like the vines broke. I feel your pain! I’ve been gardening for years but decided to try something new last year. I tried a Florida weave system and it was a disaster. I have 19 raised beds and about half were tomatoes. (We are greedy.) I researched it and used REBAR which was pounded over 2 feet deep into the heavy clay soil beneath my raised beds. I also did the “in front and behind” thing. I did all that because I thought, “Those cages seem so tacky. Even with the rebar, which was dark green, it’ll seems more…attractive,” and since the web searches said that the plants would love it. I thought, why not? Well, what a disaster. By late July all my gorgeous heirloom tomatoes were falling over from their own weight, branches with fruit on them were breaking off…I lost a few whole plants because their main trucks just snapped from the pressure or the outside of the branches were stripped as they rubbed against the rope I used. I lost so many tomatoes. (sigh) Never, never again. Kevin, I feel your pain. Your prior method looks like it makes the plants happy and is also gorgeous. From now on, that’s what I’m doing. 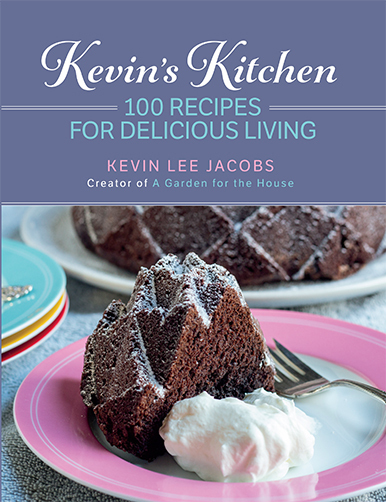 I’m really sorry about your tomatoes, but your Kevinesque style of writing about it had me belly laughing. So…thanks for trying the Florida weave, and pass my thanks to Joan! I love this post! It had me laughing, despite the loss of the tomatoes! I saw your tomato plants lying there yesterday at the Open Garden day and wondered about how that happened–now I know. Though since I didn’t use any supports on my tomato garden this season, mine looks just like yours now also. We’re both going to have to hunt for those ripe tomatoes now. Loved your gardens though, thank you for opening them up for all of us to enjoy. I had a wonderful time viewing them and meeting you. I did the Florida weave with some success but the ropes were tied to my porch rail and a fence post. 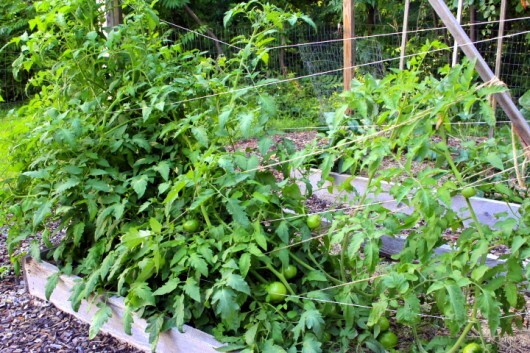 Even so, we had so much rain this year, the tomatoes grew like crazy and cascaded over the ropes to the ground. My “Florida weave” turned out about as good as yours. I did weave between each plant, and changed the direction of the weave as string was added with growth. I also pinched suckers as they grew out of each new branching spot, so that there wouldn’t be too much unnecessary plant growth. But it all failed. I used jute twine and it seemed to stretch just enough to allow everything to collapse. I will certainly never use this system again. The JC method looks attractive and strong, so I’ll try it next year. I have given up on the metal cages and use them now for my bell peppers with great success! I tried car tires this year for my tomatoes, placed them in a row with about 6 or 8 inches between each tire (Lots of nice composted horse poop in each one), then drove 6 foot metal T posts in between each one and used binder twine (from the hay bales, I have horses) to make a “trellis” type system and tied each shoot with soft twine as it got tall enough. It was a trial and error system. I also pruned my plants this year for the first time pinching off the suckers and have great plants, we just had really cool weather right up til mid July so the plants were slow to take off and then with lots of rain have had to deal with lots of blight 🙁 I like the Florida weave idea and think I will take off the “trellis” I have strung across and try the weave front to back system next year. Thanks for a great blog, I am learning so much and enjoying growing my own vegies!! I used a florida weave with metal post with hooks to secure twine and placed poles between plants as well. Very wet summer here in NC. Corrections after heavy rains were fairly easy as extra poles were spaced to allow heavy wet vines to rest….on zig zagging twine….but next year I will build JC’s trellis..it is just as lovely as namesake….Loved making the Tomato Pie for friends. Actually thought that it was most wonderful cold or room temp. Love your site ! Constantine has the trick. Get metal electrical conduit — basically, steel pipes — cut some 3 or 4-foot lengths of one size, say 1-inch, and those can be driven deep into the ground because you’re swinging your sledgehammer or whatever you use from well above them. Then you can put 8-foot lengths of, say, 3/4-inch conduit inside those and they won’t fall over. Friend of mine suggested this last year, and I’m now using that tactic for anything that needs support or trellising. I tried the “Florida weave” thing this year, and it didn’t work for me at all either. The frame stayed put, but the plants themselves were beaten down by a solid month of heavy rain accompanied by many very heavy wind storms in June, bent over, grew themselves into curlicues and never recovered. The four plants I did this way are small, distorted, heavily affected by Early Blight, and haven’t got more than a few tomatoes as a result. What worked much, MUCH better for me was 4-foot heavy wire mesh shaped into large cages but anchored by that two-stage electrical conduit system. The conduit keeps the whole thing upright, and the cage is sturdy enough to loosely tie the main stem to it as it grows. These are the same indeterminate varieties I had in the Florida weave thing (diligently pruned Rutgers and Ramapo) and they’re flourishing and producing lots of fruit. This is the first time I haven’t had tomato supports keel over by the end of summer from a combination of rain and a heavy load of fruit. Sharon, you can’t prevent blossom end rot by adding calcium to the soil. There’s plenty in there already, it’s just that the plant doesn’t take it up well with inconsistent watering (you and/or Mother Nature). You almost always get some BER in the first fruits, but if you water wisely, you won’t get much after that. I’ve discovered that being very stingy with water makes the tomatoes very happy and very flavorful, although Mother Nature doesn’t always cooperate with that plan! But I water frequently for the first week or so after I put the transplants out, then only one *deep* watering a week until they start to flower profusely, and after that I don’t water at all unless there’s a very long stretch of very hot, totally dry weather. You want deep, extensive roots on any plant but particularly on tomatoes, and you can only get that by coaxing them to have to reach farther and farther down into the soil in search of water. That will help with the calcium uptake, too. Frequent shallow watering keeps the root system near the surface, where it exhausts the soil and is easily starved of water in just one hot day. I believe tomatoes are naturally ground vines, although the fruit would be vulnerable to pests of all kinds lying on the ground. Just think of all we do to get the flavor of summer in our back yard. Tomatoes are always worth the extra effort. The comment about the birds sitting on the J.C. trellis rings true here. Birds like to scope out the terrain from an elevated position before landing on the ground where they are more at risk. Having tuteurs and arbors, trellises and tripods, clothesline poles and shepherd’s crooks – all of these structures welcome birds to the garden, give them a safe spot to inspect the place, a smart way to lure in these top notch bug-eaters! Lets say it didn’t! As you say live and learn! Oh my. A tragedy indeed. I considered, briefly, trying the weave this year but in the end I did not. I figured if I can’t get a pea fence to not topple over from the weight of a few peas, then the tomatoes don’t stand a chance! This year, I bought some heavy duty wire cages and so far, they’ve done well with the romas. Not so great with the beefsteak as I had to tie the cage to the fence behinde the bed. I have since pruned the ends of my beefsteak plants. I wanted to try pinching out the suckers but I’ve spent a good deal of time away this summer and they got away from me while I was gone. The Rutgers (which I thought were determinate but I saw someone here say they were indeterminate) are doing well in their cages for now. A new variety for me called Super Sauce are spilling all over the place in spite of vigilent tying and clipping of ends. At this point, I just want them to start turning red. I don’t think I’ve ever waited this late in the year for tomatoes! Thank goodness for the kindness of friends who shared their bounty with me. Wonderful story – hilarious and informative all at once. l usually wrestle with the steel baskets for my tomatoes, but I like the JC trellis concept… I’ll have to try it. And please, could you tell us if/when you write for other sites/publications – I love reading your articles! This year my tomato plants are as tall as me and I didn’t put long enough stakes in but my method works slick. I just came in from tying my plants and they, along with the ties (1″ strip of fabric) are holding themselves up now. Plant tomatoes in double rows. Place a stake at each plant. I cut strips of fabric to use as ties and if the strip isn’t long enough, I tie to each other to add length. I start to tie as soon as the plants have grown enough to tie. First tie around the perimeter of all the stakes – from stake to stake, wrapping around the stake and stem, so you form a rectangle with the string or whatever you’re using. Then tie stakes on the diagonal going one way down the row, then on the diagonal going the other way down the row. Between your rows the ties will form a diamond pattern. When the plants grow, do this again and another time or 2 if your plants get very tall. 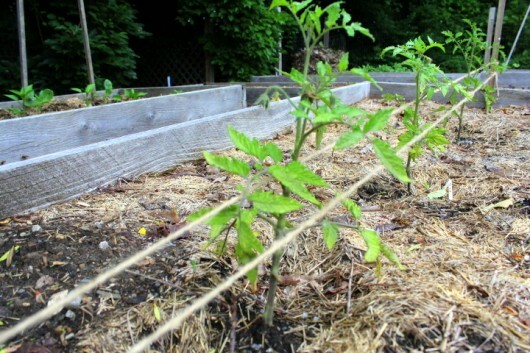 By tying this way, the ties provide support for the stakes along with the plants (because they are pulling from all angles thereby keeping the stakes straight) and between the rows are formed a ‘netting’ of sorts for the stems to be held into. I’ve never had luck tying tomatoes (they always fell over) until I came up with this method. I’m an upholsterer and one year decided that I would simulate the technique of an 8 way tied spring unit. Turns out, it works really slick! “Florida Weave” works very well indeed, if done in a professional manner. We use steel T-posts, one between every other tomato plant, and one on each end, splayed out a couple of degrees to take the tension. The orange poly bailing twine is your best bet as it is inexpensive and doesn’t rot. The twine must be reversed between plants to support them sufficiently. Loop it around each post to avoid slippage, keep the tension on as you go, and three half-hitches at beginning & end. Make sure you have enough stringers. We space the twines about every 6″ (every third bump on the T-post), and add new ones as the plants grow higher. 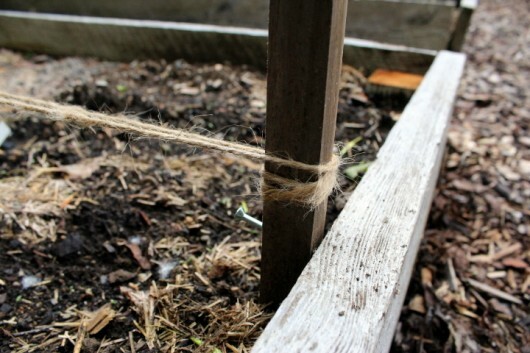 If a plant wants to fall toward a post, just bring the twine together with a clothespin until the plant is established, although this measure is rarely necessary. Kevin is certainly correct about pruning. Particularly with indeterminates, it is necessary to keep the plants under control and to help fruiting. The F.W. 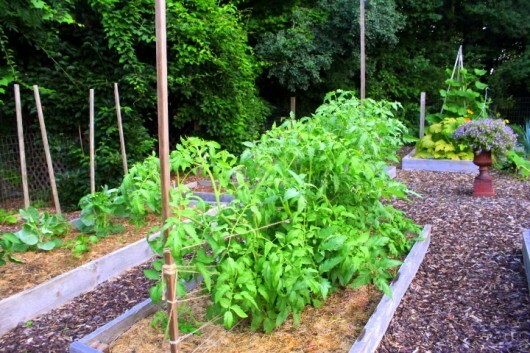 method holds the plants in a flatter fashion, allowing for better sun exposure and circulation of air, and much easier access for harvesting and finding tomato worms (look for their droppings). For us, another benefit of adopting the F.W. is recovering the use of some 60 heavy-gauge cages, which we have found are ideal for pepper plants (much better application than for tomatoes). Loved reading this post!! Very entertaining and informative to boot! Thanks Kevin!! My version of florida weave: 4 foot wide wire fencing strung between posts. Always worked well for me, till this year. We had hotter weather and a longer season. The tomatoes grew so tall I can’t reach the top and so thick, in spite of pruning regularly, that I can’t find places to tuck the flowering tips. And then, no monsoon, but the fence started to sag badly under the weight of biomass and I had to prop up the middle with poles. We did “The Weave” with disaster as the result. We have had rain in our area of Georgia since we planted the tomatoes back in mid May. We made many mistakes; didn’t pinch suckers, planted 24 plants in a 3 X 16’ raised bed (way to many plants way to close together) then the rains came and collapsed the support post and the twine. We did use bailing twine but when the post went down so did the twine. We got tomatoes but because of the rain they were small and not as tasty as they should have been. “Joan” we will be using your trellis idea for next year. Have been using my cages self-constructed out of concrete reinforcing wire for about 15 years now. Will probably have to replace next year, but I think 15 years is quite good for anything made out of metal. They sit out every Midwestern winter too, never take them in or baby them. The reinforcing wire has 6″ square holes in it, making for easy reach into the plants at harvest time. It’s 5 feet tall so it supports even the tallest plants. If they go taller, they just spill over the top, no problem. No tying of plants needed, ever. By cutting out the horizontal wire at the bottom of the cage you have instant “legs” all the way around. The wire is way stiffer than the wimpy garden center cages, and you can buy a 50-foot roll to make 8-10 cages of your own for about $50. Had some posts made from maple saplings I’d removed, very straight, about 1 1/4 ” diam. Most held through bad weather but a few keeled over. Even heavy branches CAN be lifted w/out breaking, I’ve found, but sprawl is OK, I’ve given into some. Only problem is I have to practically crawl on my belly to make sure i’m not missing some ripe (buried) treasures. My florida weave worked fine last year, but I had the metal posts about 4 feet apart and wove in and out of those posts. I would post a pic but my computer crashed and lost all pictures. For 3 posts I had 5 plants and they were awesome! I also used nylon cord to tie with. This year I used a cattle panel and they have not done as well as the florida weave and the cages from fencing, I had to cut out spots and have scars on my arms from reaching in. My husband did this and feels it worked fine. He used iron fence posts and used plastic clothesline for the string. He’ll probably do it another year. JC was NOT very encouraging, was she?! Loved the commentary; sorry about your tomatoes! Entertaining as this is surely the situation in Syria is a tragedy …this is a misfortune. 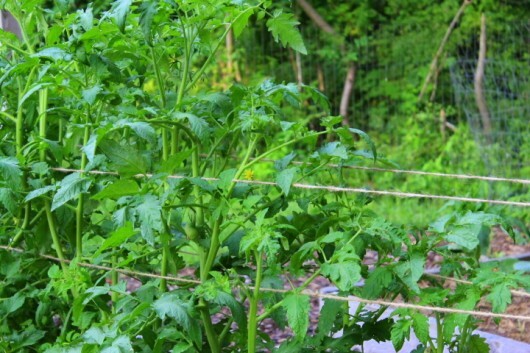 I”m using two 48″ metal cattle panels like you used the twine and tie the tomatoes as they grow up. It won’t sag… If you put Mrs. Crawford’s trellis on each end to stabilize it, nothing collapses. though I use 4′ garden posts on each end and two through the middle. Panels are used year after year and can be cut to size. I think they come in 12′ or 16′ lengths..
That my fine sir is no Florida Weave.. It looks like a Kevin Fubar.. I had one very similar a couple years ago.. it was a Kimmie Fubar for sure.. Sigh..
Everyone I know who uses it loves it. All the Amish market farmers use it.. actually many non-Amish market farmers use it since its the easiest way to keep huge amounts of tomatoes off the ground..
I’m going to try this next year for my beans. My husband suggested putting a bolt for the midsection uprights so they open like scissors and don’t have to be tied. I think that would be easier for us to set up. I use the double stacked steel cages (6 feet tall) reinforced with steel rods put down on the windward side of the cage as far as they will go. I’ve never had them collapse, and we have had over 6 inches of rain on several occasions this year. Sorry, Kevin, but I suspected that it might not work. I’m with JC. PS I use the strings for pole beans, and it worked like a charm. I also use the galvanized metal tomato cage for my cucumbers and they vine right up and then the cukes hang down just beautifully. Saves a lot of space in the garden that way and the cucumbers don’t get any soft spots or rot. I found, from a local Hispanic farmer, that the 2×2 at each plant works great, however, my son was “in charge” of the tomatoes this year and he decided to do something different. Not sure what it was, though it involved planting peppers all around the tomatoes. The peppers are doing great and the tomatoes, despite soggy conditions this year, are vineing along the ground, but without bug damage. He swears it’s the peppers. What do you think? My experience this summer has been much the same, although I thankfully early modified the Florida weave into a box weave for some tomatoes I expected to get tall and out of hand, like cherries. The real struggle has been protecting those in the unfenced front garden from being eaten by deer. My biggest mistake was using precious room in the fenced back garden for growing five expensive seeds of organic “Iron Lady” tomatoes. They promised disease resistance, but are delivering about the same uninspiring never-quite-ripe texture as a bad supermarket tomato and don’t look any healthier to me than the usual varieties. Hopefully I’ll still get decent production of tomatoes to freeze for the winter, but I will never waste garden space on that variety again. We use the metal cages and then pick up used ski poles at lawn sales. 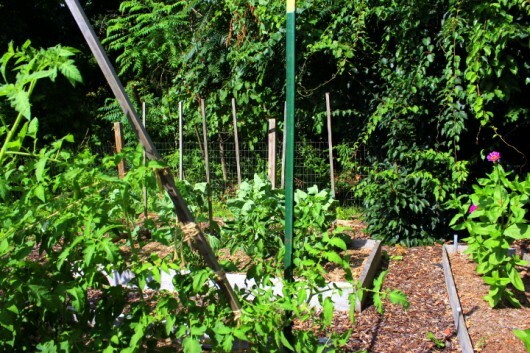 Put the cages over the tomatoes, weave the ski pole through and pound in the ground. We live in a very windy area and out tomatoes are beautiful and tall and they are not on the ground. Another use for ski poles!!! We have 42 plants and they are doing great, even in the cold Maine summer. Like most of your readers, I shouldn’t have laughed but couldn’t help myself, you managed to turn the Florida-Weave fiasco into an entertaining comedy. I do feel for you though and agree that the J.C approved trellis work best. My tomatoes came crashing, the grapes were so heavy, nothing but heavy rope could have held them, the twine I got from Lowes wasn’t strong enough. My harvest time here was April. Another blunder I made was forgetting to label the tomatoe plants, I had no idea what was growing until the tomatoes started to form/ripen. Next year I’m going with J.C. on the trellis and you on the not forgetting to label the seedlings. I used tomato cages this year, but not tall enough for this crop with all the rain. 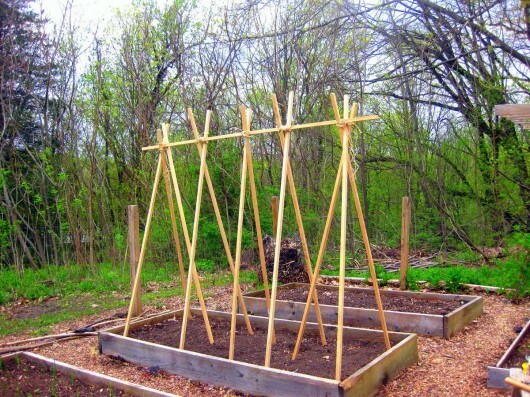 I saw a type that stack and might try that next year since building a trellis in a 5×5 plot will take up too much space. I need the high rise type of solution. Enjoy the blog and the laughs. Thanks. Those eyebrows! I guess they became her signature, but I think she should have fired her make-up “artist”! I always learn from other’s mistakes, so thanks, Kevin, for showing us you aren’t perfect and you do make mistakes. We all appreciate it! How to keep worms out of cucumbers and yellow squash? Does anyone have a safe solution? I used a combination of steel cages and tying. The tomatoes got so heavy that the cages fell over, the twine I had tied them up with broke and I wound up with a big heap of a mess. We have had a lot of rain in the mid-Atlantic this year and that didn’t help. I tried to set the cages back up and re-tie them but they keep falling over. I will try the “J.C. approved tomato trellis” next year. I tried the Florida weave this year too. My tomato plants got to 7 feet tall but it started to fall apart before that. The posts at the ends that I had screwed into the wood of the raised planters started to pull out. They were long screws! Had to get 8 foot t-posts and pounded them into the ground at each end and used a rope around the original wood posts to try to pull them back upright. What a mess. The Florida weave is probably fine with smaller determinant tomatoes but not my big vines. Would you happen to have a recipe for sun tried tomatoes using the sun and then bottling the tomatoes in oil for storage to consume at a later date. As you may know, a bottle of sun dried tomatoes at the store is very expensive. 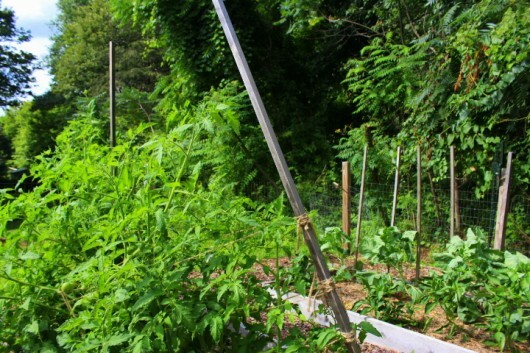 I want to know how to build that J. C. trellis! I am hoping that an old woman like myself can manage it. I only have 2 tomato cages so when someone gave me a third tomato, I used 2 metal poles and twine to support the rambling growth. This worked REALLY well until I went on vacation for 2 weeks and the vines were ignored. Once they had grown out of the twine height I had left, they loped over. Still I think I will use this method again. Much easier to store poles than cages. on to my weed weapons. Thank you so much for sharing the good, the bad and the ugly, and especially with pictures. I’m one of those that always needs to visualize. My cousin is a commercial grower and has used the Florida weave method for decades. He runs rows two or three hundred feet long and stakes between every two plants. Lowell (above) describes it well. 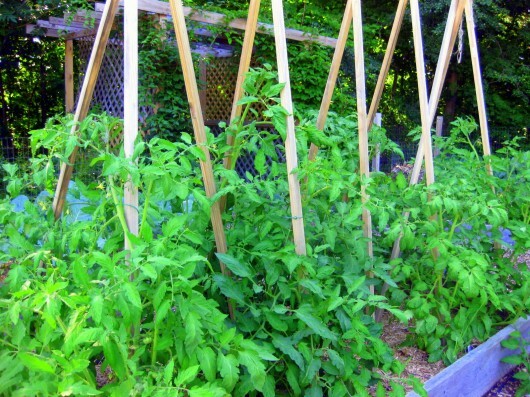 Love the idea for the Joan Crawford-approved trellis, especially for super-tall varieties of tomatoes! We have cages around our plants but they’re still small enough now where I think we can take them off and replace them with a trellis. Great idea!! I learned it is crucial to have good end supports with any rope trellis method. I use a modified Florida Weave using paracord and interspersed support stakes, but I support the ends of the 16-foot rows with wood A-frames (one vertical, one angled) that are joined with ladder-like cross members on the outside, vertical side. I also add protruding screws to the sides ensure the paracord doesn’t slip down or droop. I can take them down and fold up the angle braces for storage during the winter. They are holding up well this year, with my Better Boy and German Pink plants over 6′ tall, and the Sun Sugars are over 9′. Oh Kevin… Last summer, after my WORTHLESS wire baskets gave way to my plants, I too ‘thought’ I’d give the FL way a try. I can begin to explain how bad that system worked for me.. but then you know first hand. Since you have not let me down in the past, I will be digging up… I mean out, the JC Trellis poles and trying it your way this year. BTW ~ your *Tomato Pie* is FABULOUS DARLING! I just built this trellis system in my backyard to get ready for tomatoes. I was wondering if you could explain how you actually attach the tomato vines to the trellis. Thanks so much. 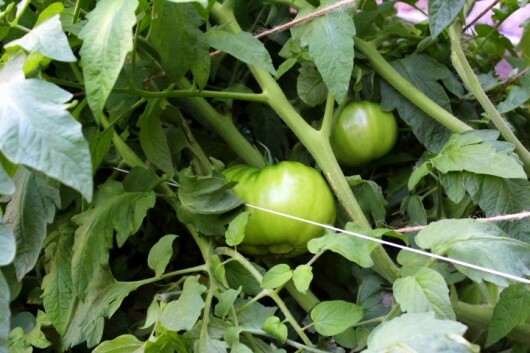 Hi Seeca – If I can find it, I use green Velcro “garden” tape to train the tomato vines to the trellis. Otherwise, I simply use string. You need only to tie the vines loosely to the poles. 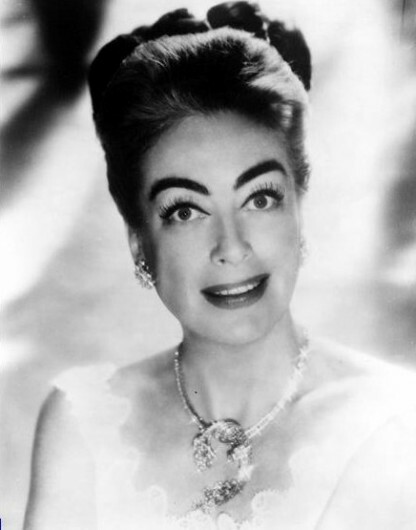 Have fun with your “Joan Crawford” trellis! As a follow up to Seeca’s question, you plant one tomato plant by each pole (except the third leg of the outside tripods), correct? Then you gently tie the main stem to the pole as it grows, and trim the suckers so the plant doesn’t get out of control. I’m a relative newbie to tomatoes, as I myself don’t eat raw tomatoes (mild allergy). But …. my husband does, and I’m trying to help out the local food pantry by planting extra, and passing it along. The garden ties are a good idea to hold tomatoes, but womens stockings cut into appropriate lengths are cheaper and won’t bind or cut the tomatoes. I use the method my Dad used to train my tomatoes. We build wire cages from hog wire, making them about 18 inches in diamater. We drive a metal fence post into the ground for each plant and attach the cage. More wire can be added to the top for taller plants. Hog wire, two widths high, attached in a line to fence posts also works great for beans! I think the problem with your Florida weave is the stakes. They seem too heavy and they simply lurched forward under their own weight. If you had used a rebar, hammered 2ft deep an then slide a conduit pipe over it, you are not likely to have had this problem. We did Florida Weave and have monsoons. The system worked well for us, the problem was we planted our plants too close together and had a “forest” we could hardly get into and thru. What you did is not the Florida weave. The Florida weave has a post between every two plants. Sorry, pal, but judging from the first photograph, you did NOT use the Florida weave method at all which makes a “figure eight (8).” Basically, you wrap in front of one tomato and then behind the next and so on. When you reach the end of the row, you wrap the string several times around the stake and go in reverse on the way back to the stake from whence you began, so each tomato is sort of sandwiched in between the twine. You also “cross-over” before each “end” stake. Additionally, you did not anchor the end stakes at all, and that’s why they collapsed in the middle. You may have to stake each trellised row to the additional anchor. I used metal stakes that have a hook and placed them a good 1-1/2 to 2 feet away from the end stakes and tap them in the ground. So far, so good! I tried the FW last year with the same results as you.. Started out looking so nice & tidy.. By the end of the season they were basically laying sideways. Between the rain and hard winds they just did not stand a chance.. I had been warned but figured I knew better.. Back to reality..
T posts on outside of box, not inside. Determinate tomatoes under 5′, not indeterminate. Doing those things would help prevent this disaster. The wood tee-pee like trellis is prettier though, and would be easier to reuse. I find the weave is most useful when you have a large field of tomatoes. With only a few I’d rather something more attractive. you need about 1 stake per plant, even with the florida weave. last year we grew aprox. 6500 tomato plants, using the florida stake and weave method. Something called “Florida Weave” ought to withstand hurricanes.